Why is finding the right reed important? Finding a good source of oboe reeds is crucial to enabling a student to develop their oboe playing. When starting the oboe it is particularly important that the reeds are not too hard so purchasing reeds that are Soft or Medium-Soft is advisable in most cases. There are a number of differing styles of reeds, scraped to different dimensions and also shaped to different sizes. An existing reed website called Reed Reviews (http://reedreviews.net/) features a number of UK based reed makers with feedback on each reed. Choosing a suitable reed is something that most teachers are best positioned to help with as they can evaluate which source of reeds might be best suited to each student. Where can I buy reeds and what make should I buy? It is possible to find the reed supplier you best prefer and buy directly from them but there are also a number of retailers that offer a wide selection of reeds. In particular Regency Reeds (http://www.regencyreeds.com) are very useful as they also feature photographs of each reed type and descriptions of the characteristics for each reed. Larger retailers of oboe reeds include Howarth of London (http://howarth.uk.com), Crowther’s of Canterbury (http://www.oboeshop.co.uk/ and John Packer (http://www.johnpacker.co.uk/). More general music shops often stock reeds but the ones mentioned above tend to stock a large variety of makes. One important issue of oboe reeds to know about is that even the same type and hardness from the same reed maker might vary greatly as cane can differ between reeds and also change with weather and acoustic conditions. How much should a reed cost? In terms of what a reed should cost, it is possible to get reeds below £10 per unit – particularly if the reed maker offers to sell a re-tied reed (one that uses an old staple at the bottom instead of a new one). On average reeds can be around £11-14 each for beginner/intermediate reeds and at the high end, professional quality reeds can cost as much as £20 per reed. How long should a reed last? This is a very difficult question to answer as it can vary such a huge amount. If a reed is kept clean and not stored in a wet or damp condition after playing this can help prolong its life. In general a reed should probably not last longer than 4-6 weeks for a beginner student of regular practising. In reality this is the maximum a reed should be expected last as some can play effectively for a much shorter time than that. It is important to note that cane is a natural material and can develop mould as well as dirt within the reed if not properly cared for. For example, playing the oboe directly after eating (without brushing your teeth between) can result in food fibres being stuck in the reed resulting in a reed’s life being considerably shorter. To be kept up-to-date with latest news on concerts, masterclasses and other information, join our newsletter. 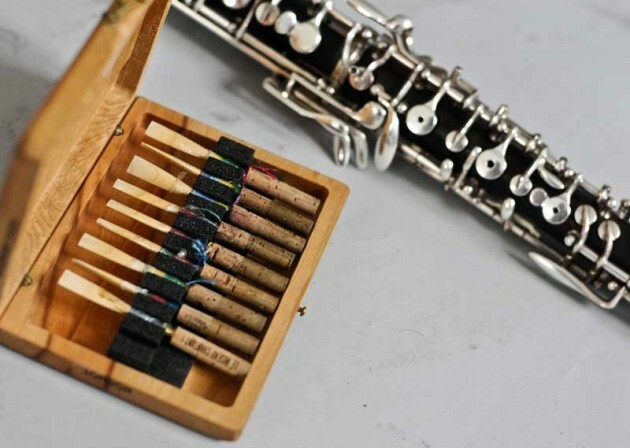 Founded in June 2011 by oboist James Turnbull, Learn To Play The Oboe aims to make it easier for people to find out about the oboe and how to start learning it. We wish to encourage as many people as possible to take up the instrument and are here to make it as easy as possible to find an instrument, reed maker, and teacher to get you started. © 2011-2019. Learn To Play The Oboe. All Rights Reserved. We send out an email newsletter with monthly updates on events, news, masterclasses and courses for the oboe. Enter your email address below to keep in touch with us!